The new rules are designed to ease the pressure off the court system which is bursting at the seams and struggling to cope with the number of claims, which are incidentally at an all-time high. However, we have identified several drawbacks for businesses; one is that the new rules give the Debtor 30 days to respond (instead of the 14 days under the previous rules, which are now only relevant for limited companies v limited companies and individuals v individuals) to a “Response Pack” that must be sent by the Creditor before commencing court action. If the Debtor responds within the 30-day negotiation/settlement period, indicating that they require additional information/documentation or wish to negotiate/seek further advice the Creditor is obliged to allow additional “reasonable” time which could delay the Creditor from obtaining payment or issuing court proceedings. Another is the volume of paperwork, up to 10 pages, that includes an income and expenditure form that Claimants are required to send to the Debtor. Also, the time that will be required to “manage” the new process and respond to any Debtor’s queries. Many businesses lack the time, resources and expertise to issue proceedings and manage/navigate a claim through the court process. These new rules could place even more burden on businesses with additional paperwork that could allow errant Debtors to take advantage of the situation which in turn could leave genuine Creditors out of pocket. First Capitol Doorstep Collection can ensure you recover outstanding debts quickly without the need to resort to time-consuming and costly litigation. It can minimise the risk of losing any funds owed as it puts us in direct contact with your Debtor face to face and any dispute can be quickly identified. Here are our ten signs which should tell you it is time to invest in the services of a doorstep collection agent. 1. If your business is under financial pressure to recover outstanding debts, a doorstep collector can help ensure the debt is paid. 2. If the staff are spending too much time chasing debts, they will not be focusing their efforts on the tasks they would usually do. 3. If a debt has been outstanding a long time, it is important to take action quickly. The longer a debt goes unpaid the less likely it is that the debtor will pay. 4. If there is no one within your business with experience in debt collection, the services of an expert can be a huge help. 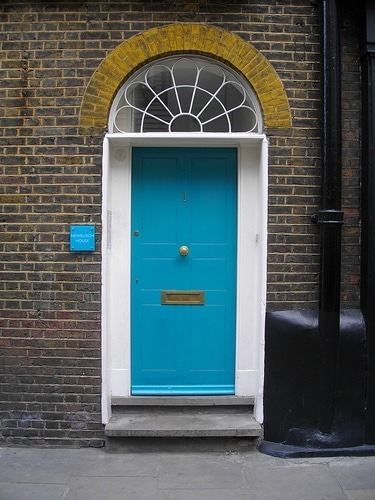 Doorstep collectors have an extensive knowledge of debt laws and also vast experience in personally handling debtors. 5. 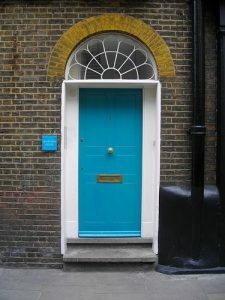 If you are unsure of your company’s legal rights, or the new pre-action rules a professional doorstep collector will be able to provide assistance. Professional, regulated agencies know the legal rights of both parties and are able to take the appropriate action where and when necessary. 6. If you have not kept a record showing the steps you have taken to recover the debt, it can be difficult to recover. By utilising a professional company, there will be thorough records kept, which will be very useful should the debt end up being taken to court. 7. A doorstep collector is trained to help manage your business’s reputation. If you have no experience in the approach to take when talking to a debtor it could have a negative impact on your company’s reputation. 8. If you have invested a large amount of time chasing the debt, a professional company can speed up the recovery time. 9. There are many laws in place to protect debtors from harassment due to debts. If your company is finding it difficult to handle the delicate balance, it is probably time to call in the professionals. 10. If you have a sudden surge in business demand, it is important that your skilled staff are on hand to assist. Any time spent collecting debts is time which could be spent helping you meet demand. If you feel like you have exhausted every option, a professional doorstep collector could be your last step to ensure the debt is collected.